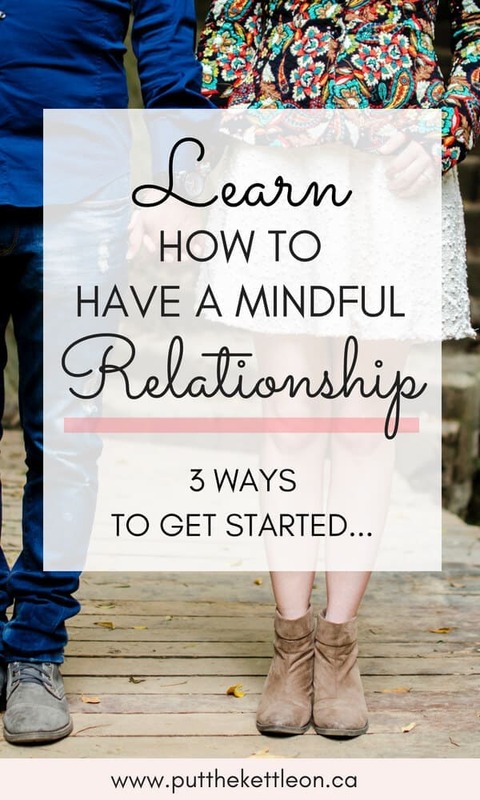 Being mindful in your relationship leads to a strong bond. One thing I know for sure is that in your relationship, it’s important to be on the same page and ensure your partner is happy. If you agree, join us in our goal to have more mindful relationships. We are all moving so fast these days that it’s important to slow down and appreciate what’s most important in our lives. This means putting in the work to keep our relationships strong. This is where being mindful of one another comes in. Do you feel you have your partners support when it comes to what you believe in, as well as your plans and dreams? What’s your daily mood like? Is there anything you silently wish for when it comes to your relationship? Keep a mental (or physical) note of the above. This is especially important for step #3 below. Understanding how you are feeling is obviously easier than knowing how your other half is feeling. It’s also important for the two of you to truly know how your relationship is doing. 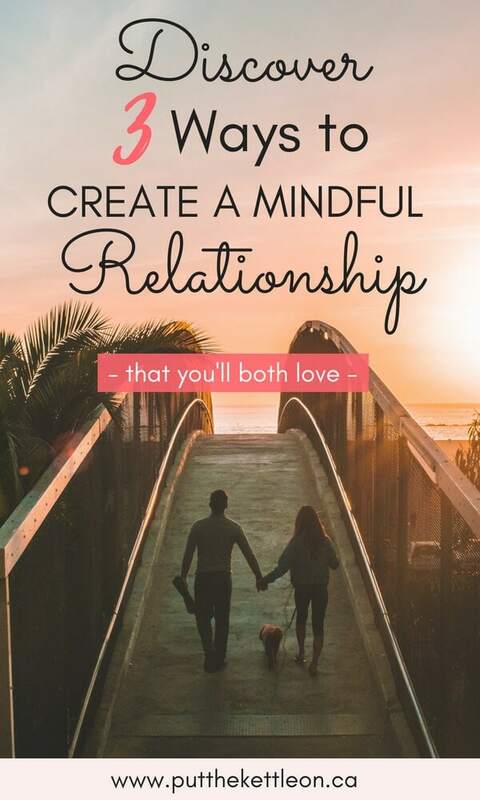 There are a few ways you can do this, which will help you to have that mindful relationship you’re seeking. When you bring in busy careers, kids, pets, parents, etc, into your relationship it’s important to make sure you connect with one another daily. Even if you only have 10 or 15 minutes, find this time to truly connect with your spouse. What could this look like? On top of this, are you keeping up with the small gestures like these? If you don’t have kids you may already have official monthly (or weekly) date nights. Make the most of this time together. Mix things up and take turns organizing the date. You plan the date one weekend and your partner plans the next time. Make sure to do more than dinner and movie. Go for those walks along the beach, take a class together, make a mess cooking in the kitchen with some great tunes, go to a museum or a concert – you get my point. Expand your dating game! When date night is getting close decide what you’ll do together and book it at least a week out – get those movie tickets and book that dinner reservation etc. On your date, make sure to connect with your other half, enjoy each other, have a laugh – and DON’T talk about stressful things like bills. Dates are not about having financial conversations! This step is more official. If any of you work in the corporate world, think of this process as a quarterly townhall or ‘all-hands’ meeting, but for your relationship! For you A-Types out there, I know you’ll like this – but for others, hear me out. What’s the point of a quarterly check-in? Family Goals – Thinking of having kids (or more kids), want to plan a family vacation, wish you could get your family to eat healthier? Personal Goals – Want to change careers, going back to school, or need your other half to support you in your personal goals, etc. Feelings – Discuss what’s keeping you up at night, understand how each of you feels in your relationship? Is anything lacking? Do you need more focus in certain areas which will impact your happiness? Issues that need resolving – Talk about challenges you’ve had or where you’ve felt misunderstood. Let it be known that you both must find a way to resolve the problem. Make a plan – For each of the above areas you discussed, make sure you have an action plan with actual to-do items that you’ll both be responsible for. End your check-in session on a high note. Reminisce about old times, connect on what you’re happy about lately and chat about the dreams you have together. Make sure to take notes so you can review for your next check-in in 3 months time. This is especially important for the financial section, but can also be used for all areas discussed. This will help you keep track of what you both committed to. It’s a great way to see how far you’ve come and to help you realign when you refer back to your notes. Is this something you could maintain in your relationship? Congratulations on your one year anniversary! I agree that making the time for these conversations is so important! We don’t do a check-in, but we try to date WEEKLY, and we do try to talk in a meaningful way almost every day (we don’t live in the same house. Date night doesn’t have to be expensive. Sometimes we walk on the beach or take a bike ride. But we try to do it every week, because I know from experience how couples just fall into a rut. Date Night is so important!! We have one at least once a month!! Happy Anniversary!! I have to say I read through this article feeling a little skeptical – as you said, you’ve only been married for a year so what could you teach me? However, you won me over with your practical advice like planning the date nights a few months in advance so they actually have a chance of happening! I also love the suggestions for things to talk about quarterly. Congrats on your anniversary! My husband and I will be married 10 years in 2019 and with three kids we have found date night to be a MUST for us to reconnect and be mindful of each other! I love these suggestions! They’re exactly what I need to work on in my marriage! Yes! So much truth here! I love your idea for quarterly check-ins. I think that would also help with unnecessary nagging because you know you will have time to work it out in the check-ins (unless it’s something that needs addressing right away, of course). Thanks Becky! I agree about the hugs and kisses. I’m like this with everyone! I love that you do the love notes too. It for sure makes a difference to what could be a mundane day! The love language test sounds cool. 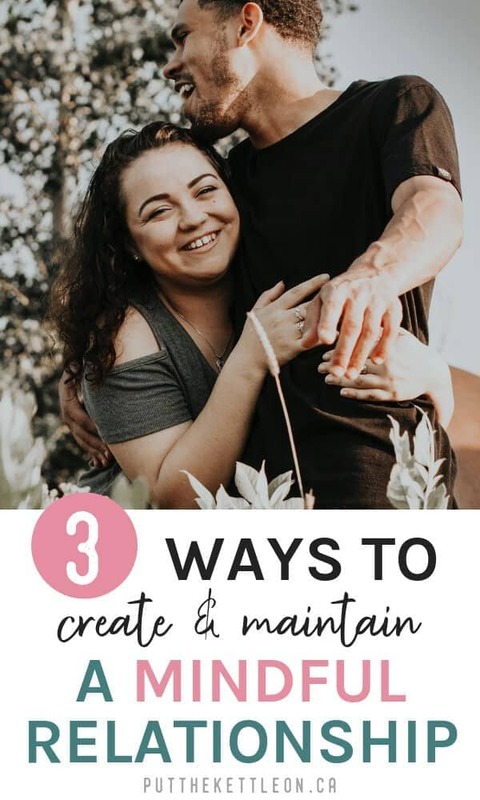 I just got married last weekend so I feel like you wrote this post just for me (; Even though my husband and I lived together for three years before we were married I know I will need to focus on really being mindful to have a healthy and happy relationship. I love the idea of quarterly check ins in edition to things like date nights. Sometimes important conversations can slip through the cracks! Congratulations Jordyn! I hope you loved every minute of it 🙂 You are right, conversations can definitely slip through the cracks, so having ‘official’ time to get it ALL out feels good!! The daily connect has been super important for my husband and I! This is so good!! When my kids were small, monthly date nights went by the wayside. Now that they’re getting older, we make them a priority. 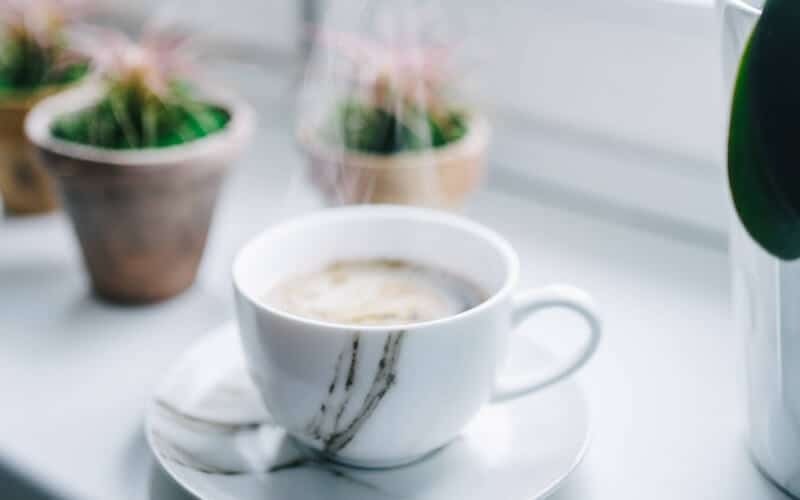 That alone time to connect without other distractions is so important. It feels like when we were dating! That’s so good to hear 🙂 I love that it feels like when you first started dating! Happy Anniversary! These are so smart, sure to make any relationship better.